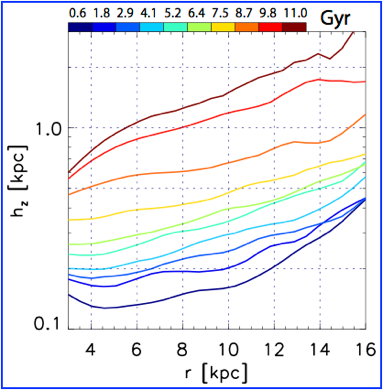 When all ages in model are considered surface density of model MAPs always decrease with radius - not a good match to APOGEE. 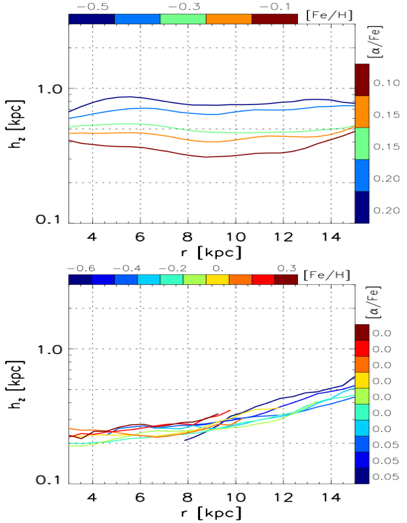 But when old stars are removed, peaks in surface density appear as in APOGEE data! 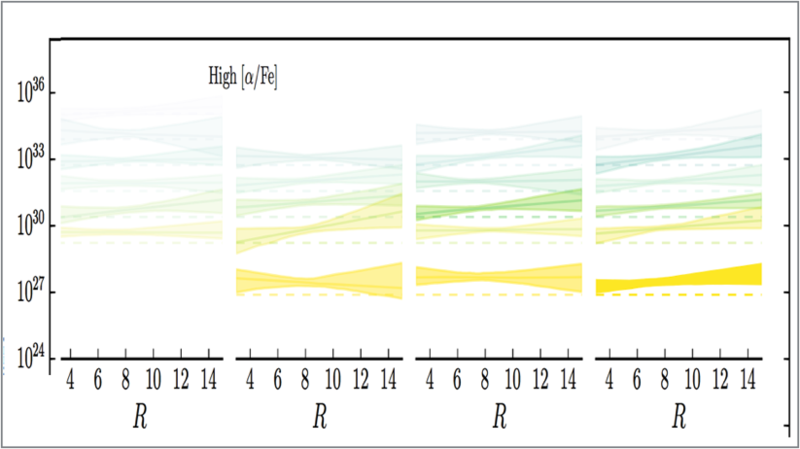 As in the data, peaks shift to larger radius the lower the metallicity. 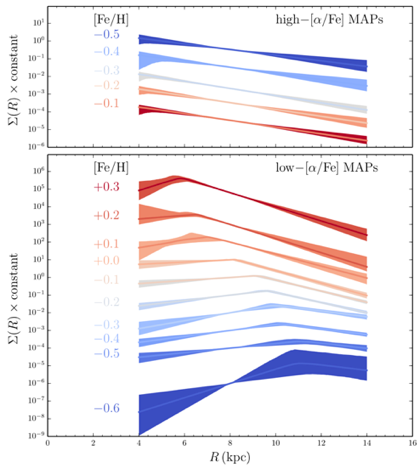 Best match happens at age < 4 Gyr and is consistent with the expectation that red clump giants peak in age around 2-4 Gyr (Bovy et al. 2016, Girardi 2016). 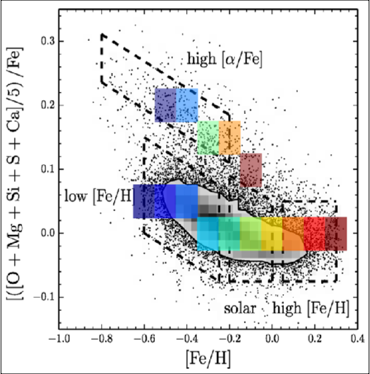 But, note that flaring is always present in mono-ages populations, although lost in high-[α/Fe] model MAPs above. 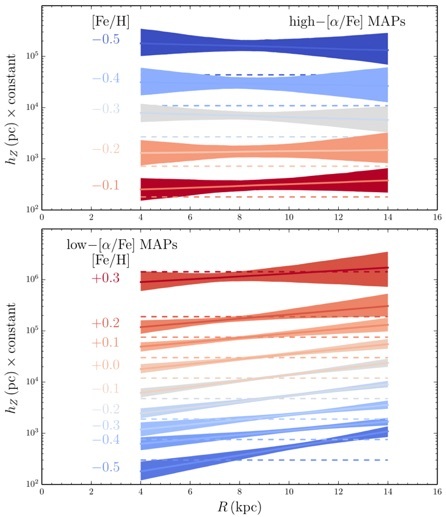 While MAPs are also mono-age at high [a/Fe] and low [Fe/H], because of the inside-out disk formation a negative gradient typically results for a given MAP. This makes it dangerous to interpret the disk structure of MAPs in terms of disk formation and evolution. 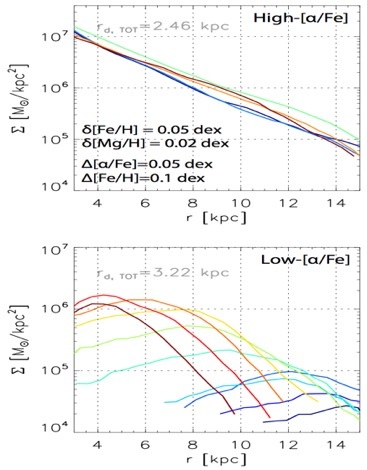 A great deal about the disk chemical evolution can be learned by studying mono-age populations of MAPs, but in any case, the availability of good ages is a must in Galactic Archaeology studies! 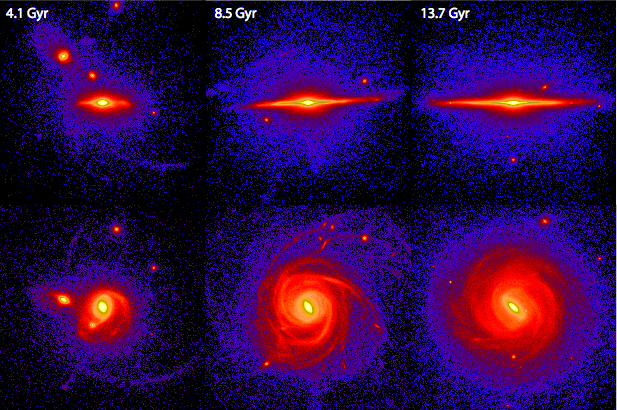 APOGEE mono-age populations show flaring in old stars! Mackereth et al. 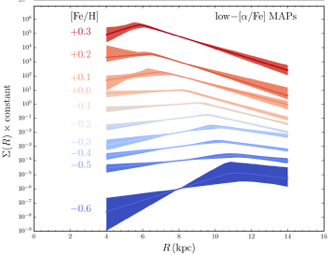 (2017) showed that when APOGEE RC data are binned by age (Martig et al. 2016), flaring does appear, consistent with our model predictions.